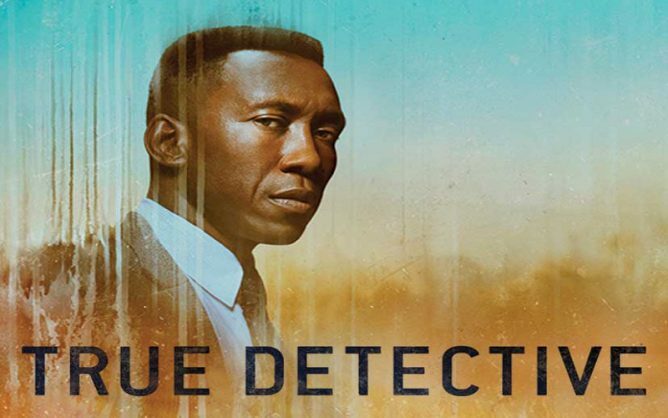 I waited a long time for True Detective to get to Season 3, and after seeing the first two episodes I’m glad HBO took three and a half years to let it brew. After the dark and weird phenomenon that was True Detective’s first season, and the muddled disappointment of its second, the third season is back in fine, grim, wrenching form. The main cast is outstanding, as expected. Mahershala Ali is quiet and guarded as Detective Wayne Hays. His reserve strikes a comfortable balance with Stephen Dorff’s more outspoken Roland West, Hays’ partner. Carmen Ejogo is poised and warm and sharp as Amelia Reardon, a schoolteacher who becomes involved, and then absorbed, in the central mystery. The supporting players are equally strong, with Scoot McNairy and Mamie Gummer as the raging, grieving parents of the lost children and Ray Fisher as Wayne’s caretaker son. The plot dips and spins across thirty five years, following the 1980 abduction of two young siblings in Arkansas. We are already being wrapped up in three painful timelines, inconstant memory, and the stain of ritual sacrifice. There are hints of the coming Satanic Panic that spewed over the early eighties, and constant reminders of the just-past Vietnam war. There is blunt recognition of the subtle and pervasive racism that lies behind almost every interaction. And in the main characters, there is still the urge to do something good, to help someone, to stop someone from being hurt any more. It’s a heady mix. It’s hard to wait for the next episode. I admit I was a little disappointed at the end of True Detective Season 1, when the creeping supernatural elements evaporated into the swamp. This time out I am braced for such an outcome. But it doesn’t mean I’m not hoping for some very dark magic along the way.